Today's show highlights the NBA finals beginning tonight in OKC with all of the subplots: Durant vs. James, the big three vs. the new kids on the block, and analyzes the Easten and Western Finals, with an eye on the prize, The NBA World Championship. Spencer the Wizard, cohost,will be digging deep into the upcoming series,with Dr. Bruce. 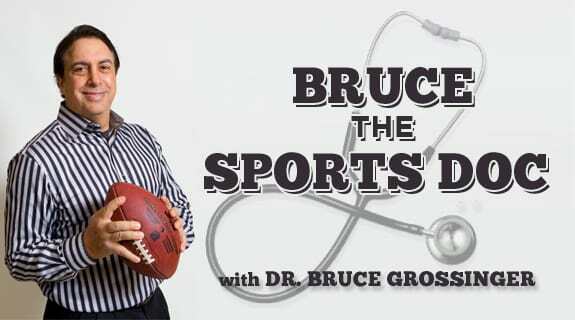 Finally, a look at the diagnosis and treatment of spine pain in amateur and professional sports, from Dr. Bruce Grossinger, clinical neurologist and Board Certified Pain physician.